Want to learn how you can develop a social media branding strategy? More and more, we hear the term “branding” in the marketing landscape. Not least, we hear the term personal brand, as a result of social media, which has enabled everyone to get a voice and build an audience. Chances are, you’re here because you realize the importance of branding, and having a branding strategy which allows you to work with branding. The marketing landscape is competitive. Everyone is fighting for their audience’s attention, not to mention the tough competition on social media. Working with branding in your marketing, and creating a branding strategy allows you to stand out from the noise and ultimately get your audience to listen to you, and remember you. Obviously, easier said than done, but it is far from impossible. In fact, with the help of this guide, you’ll be able to develop a social media branding strategy that is clear as ice and gets your audience to remember you. Here’s how to create a killer social media branding strategy. Why social media branding, and what does it mean? Branding is all about presenting your brand the way you want, and most importantly, having it viewed in a particular way by your audience. When you think about McDonald’s, you think about a brand that is fun and engaging. And those associations aren’t coming from nowhere. In fact, they come as a result of McDonald’s branding strategy, and from using a consistent branding in their marketing. Essentially, your branding strategy is the only thing that allows you to stand out from your competitors. Anyone can sell computers, but in order to become a reputable company like Apple, you need to greatly emphasize branding. After all, Apple’s branding strategy is the reason why people stand countless of hours outside of their stores when they’re releasing a new iPhone. You don’t see people who are waiting outside of stores countless of hours when Windows releases new phones, do you? The secret ingredient lies in branding. By leveraging the power of social media branding, you can portray a brand that people remember, and that is a natural choice and the brand that pops up in mind when they’re in need of the product or service that you are providing. Moreover, having a strong social media branding strategy in place allows you to build deeper and better relationships with your audience. Something that ultimately leads to loyal and returning customers. When you’re going to start with your social media branding strategy, it’s important that you start at the right end. Before you can develop a brand personality and portray your brand accordingly, you obviously first need to know (and decide) who your brand really is, and how you actually want to portray it. If not even you know what personality you want your brand to have and the way you want people to view your brand, it will be hard for your audience to do so, right? Therefore, you want to ask yourself ”How do I want my customers to perceive my brand”. If you’ve already got started with your business, the way you’ve set up it will tell you a lot about how you should develop your branding strategy. For instance, if your goal is to sell the cheapest sandals, then obviously, you shouldn’t have a social media branding strategy which tells you that you should be a brand that comes off as luxury and exclusive, right? In other words, the branding strategy you’re going to use should embrace your brand’s core business strategy and how it is positioned in the market. Of course, asking yourself this only give you a small, yet very important part of information about the rest of your social media branding strategy, however, it is one that you cannot neglect. Next, you need to ask yourself what personality you want your brand to have. This isn’t equally dependent on your core business idea, but it is more dependent on your target audience. Because the thing is, you want to develop a personality which resonates with your audience. Obviously, if I am targeting 50+-year-olds, I should create a branding strategy which tells me that I am going to be modern and hip, and use a bunch of slang, nor should I develop a branding strategy which tells me that the content I am going to create is going to include a bunch of memes and similar, which mainly resonates with the younger audience. This puts an importance of getting to know your audience before you start developing your social media branding strategy. Lastly, there are things in your branding strategy that doesn’t depend on your audience nor your core business idea. Instead, these decisions are solely up to you and your team and how you want people to view your brand. This can be things like ”what color do we want our audience to associate with our brand”, or ”do we want to be seen as a fun brand or a more modest and minimalistic brand?”. Because obviously, it doesn’t matter if your target audience is 20 or 60 years old, things like humor work. It’s just that the way you actually puts it into action will vary, as these audiences might find different things funny. The platforms you should focus on has a lot to do with your social media branding strategy. But nonetheless, it also has to do with your target audience. Because the truth is, not all audiences are to be found on all social platforms. 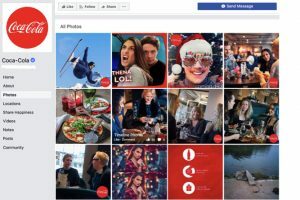 Pinterest, for example, is a social platform that is dominated by female users, and if your target audience consists of men, then using that platform might not be an effective use of your time. Secondly, we have the branding part of choosing a social media platform. This is something you shouldn’t forget when choosing social platforms to implement into your social media marketing strategy. For example, when you think about Snapchat, what do you think about? Since Snapchat is known to be a fun and engaging platform for the youth, that’s probably what you think about. And remember, this has a lot to do with how Snapchat themselves have portrayed themselves by creating a branding strategy. Now, how can you apply this to your own social media branding strategy? Well, if your goal is to be viewed as a fun and engaging brand by the public, then Snapchat is the perfect social platform for you – on the grounds that your target audience is to be found there. However, if you want to portray your brand in a more serious and ”professional” manner, then platforms like LinkedIn will better suit your branding strategy. Moreover, when choosing social platforms to use, you also want to factor in the type of content that it supports, and compare that with the content strategy you have, as well as how the content you create and share will help you with your overall branding strategy. If you want to be a brand that brings your audience closer to you, and that is transparent, you have to ask yourself if the social platform, and the types of content supported by it support your mission and social media branding strategy. You might want to use social media to share behind-the-scenes content to present yourself as an authentic and transparent brand, and if you’re going to do so, video content might be the best type of content for you to help you work on that goal. A common misconception is that you should be active on all of the social media platforms that are available out there, but this is obviously not true. Because not only is it few brands that have the resources to be active on all social media platforms at once – without compromising on quality, but it is also not true with all of the things mentioned above in mind. Because the truth is, not all social media platforms support your mission and social media branding strategy. Most social platforms support visual content. Ons second though, all major social media platforms support visual content – whether it is the main type of content for the social media platform, or binary. Twitter, for example, is focused on text, however, it does support visual content. 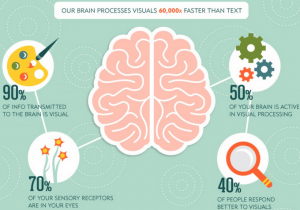 This is why visual content plays a huge role in your social media branding strategy. Because the truth is, visual content is tremendously impactful. In fact, humans are visual creatures that resonate and are much more impacted by visual content than text. In your visual content strategy (which is a greatly important part of your branding strategy), you need to emphasize the importance of visual content. Have you ever come across a brand on social media that shares posts which all look like they’re shared by different companies? That is definitely not a recipe for success. At least not when it comes to social media branding. This is why you need to develop a visual content strategy where you create visual content that looks coherent with each other. There are millions of different ways you can do this on, and how you do it ultimately depends on your branding and how you want people to perceive your brand. A brand that you can expect to have put a lot of effort into branding is Coca-cola, and indeed they have. On visual platforms like Instagram, they have particularly focused on creating visual content which is coherent by implementing the same color in each and every one of their posts – a very clever way of creating a coherent visual theme that ultimately supports your overall branding strategy. Because they want you to associate the color red with their brand. 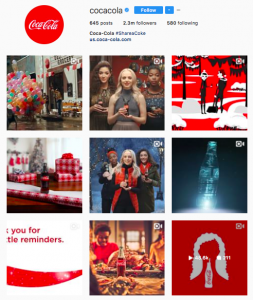 What’s more, Coca-Cola doesn’t only do this on Instagram, but on all social media platforms, they’re using. When you develop a consistent visual theme on social media, you allow your audience to instantly recognize your brand because of your theme, which also sparks emotions and makes your audience feel some kind of way when they see your brand’s social media. Moreover, by keeping your visual theme consistent across your social platforms, your audience will be able to identify and recognize your brand no matter which platform they’re on. As part of your visual strategy, you want to develop a color palette for your brand which aligns with your branding strategy. When you have worked with branding so that your audience comes to a point where they associate your brand with a particular color, that’s when you know you’ve done a great job with your branding strategy – at least when it comes to colors. If I show you these colors, for example, what brand do you think about? This is proof that their branding strategy has been very successful, to say the least. But remember that they haven’t been able to make their customers associate their brand with these two colors by only showing it once. Successful branding is the result of time after time feeding your audience with a message to the point where they associate your brand with something and thinks about your brand in the way you want to portray it. As you know by now, it is important to have a consistent visual theme with your visuals. A way to do this is to develop a template for all the visual content that you use when creating your posts. Having one allows you to create posts that all follow a particular pattern, and therefore aligns with your branding strategy. Tools like Canva can help you remain consistent in your visual content, and thus help you share visual content in a way that aligns with your social media branding strategy. A small yet important detail is your social media profile picture. As a brand, you always want to use your logo as your profile picture, and you want to do this consistently across all your social media platforms. Not only does this help people instantly associate the account with your brand, but by doing so, you can constantly remind your audience about your logo, thus increasing brand awareness, and making people associate your brand with your logo. If I ask you about the logo of Nike, Adidas, and McDonald’s, you know them all, right? That’s because all of those brands have greatly emphasized their logo in their branding strategy, so they can remind their audience about their brand, without ever having to say your name. It’s important that all of your marketing efforts align with your social media branding strategy, which is how you want your audience to view you as a brand. When it comes to branding, consistency is the foundation for brand-awareness and a successful branding strategy. If you’d see McDonald’s logo once, would you remember it? If you’d hear the name of Coca-Cola once, would you remember it? If you’d meet the brand personality of Apple once, would it impact you? And what’s even more important than reminding your audience about your message and brand over and over again is that the way you reach them needs to be consistent. It will be extremely difficult for people to build a relationship and resonate with a brand that has one personality one day, and another one the next day. This goes for real-life human interactions, too! This is probably the most important reason why you need to have a social media branding in place. Sure, you can work with your social media branding without having a strategy, but keeping it consistent will be difficult. If you, on the other hand, have a defined and written down social media branding strategy, you can look back to it and ensure that every single marketing effort you do aligns with your brand and the way you want to portray your brand. Your brand voice is an important part of your overall social media branding strategy. Having a consistent and defined brand tone in the way and language you talk to your audience is important, as it helps you resonate with your audience better, get closer to them and ultimately build stronger relationships with them. Moreover, the tone of your brand helps you stand out from the crowd and make your brand easily-recognizable. For example, if your target audience consists of teens, then obviously you shouldn’t use a language full of difficult words that they don’t comprehend. However, if your audience does consist of teens, then slang, emojis, and abbreviations may be in place. By strategically developing a personality and brand tone, you can get closer to your audience and make them resonate better with your brand. Because if you think about it, you’re much more likely to resonate with someone who uses a similar vocabulary as you, compared to someone who doesn’t. 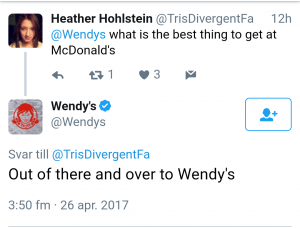 A brand that has understood this is Wendy’s. 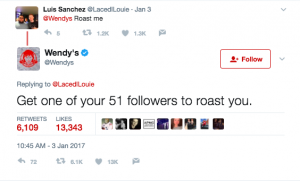 They have identified their core audience – at least when it comes to social media, as individuals in the younger generation, and therefore, they’ve developed a tone that can be riskful for brands to use – a very sassy one, however, because they’re staying true to it, their audience resonates with it very well, and their audience is able to resonate with them a lot better. If you cannot manage the language in which your target audience speaks, get someone who does onboard, or, use a tone that you master. The worst thing you can do when it comes to brand voice is to use a certain language just to try and fit in, because people will notice, and the whole thing will just come off as inauthentic. Authenticity is tremendously important in your social media branding strategy, and if your branding strategy comes off as inauthentic, it can instead have a negative effect, so be careful. According to a survey, honesty is the number one trait consumers want from brands on social. Your brand’s personality should shine through the tone you use on social media, but more importantly, it should shine through everything you do. Again, if you’re using one voice in your posts, and a completely different when you respond to comments, it will create a disconnect, which will instead scare your audience away. This is why it is important that everyone in your team is onboard with your brand personality and brand voice, and know exactly what voice they should use, and what personality they should have on social media. People follow you on social media because they expect to see a particular type of content. It can be everything from fail videos to behind-the-scenes videos of your brand. Your audience follows you because they want to see that, so what should you do? If you’re a brand which sells dog equipment, then obviously people don’t want to see posts of dogs. And if you share it, it will create a disconnect in what it is your brand is really all about. Therefore, when defining your social media branding strategy, define a few topics that you’re going to focus on and stick to them. That way, your audience will know what to expect, and more importantly, know whether or not you can provide them with content that interests them. Too many brands jump into social media with the goal of promoting their brand as much as possible, without really understanding the best way to do that. They start spamming a bunch of promotional posts after one another, and what do you think will happen? The audience starts seeing them as a spammy brand. And trust me, that’s not the type of social media branding you want to work with. When picking the topics, make sure they are closely related to your industry. That way, you ensure that the people in your industry, your target audience, finds them interesting. Realise that it is by providing your audience with value that you generate the best marketing results. Not by shoving promotional messages down their throats. This is why you need to not only be consistent with topics, by ensuring that what you’re sharing with your audience actually provides value. Because doing so will allow you to strengthen your brand image. Okay, so you’ve started working on your social media branding strategy. Maybe you now have it in place. But then, you take a few days, maybe even weeks off from social media. Or maybe, you’re just posting irregular and whenever you feel like it. On social media, this is a recipe for disaster. Because what do you think will happen when you stop posting for a month? People will forget about you! The way you work with branding, and get your audience to view your brand in a certain way is by impacting your audience over and over again with a particular message. Think about how many times you’ve seen a Coca-Cola commercial, or seen the golden arches of McDonald’s. I bet you it’s hundreds of times – if not thousands. Humans tend to forget things quite quickly, and this is why repeating your message is everything. Technically, that could potentially mean that you have to get your audience to read something about your brand 10 times before it is stuck. Because the more you repeat your message, the more it will be etched in their brand, thus having a bigger impact on them. You have probably seen the many statistics about the power of influencer marketing. Therefore, chances are, you are very well of the incredible power of influencer marketing. And that’s great news if you want to reach a broader audience, and meet your objectives. But the best part, in this case, is that you can leverage influencer marketing for social media branding. As a brand, you want to reach as many people as possible. That’s the first goal of your marketing, with ultimate being that they convert. And it’s true that a social media branding strategy allows people to remember your brand and see it stand out from the crowd, but it is also true that unless you have an audience, your branding strategy won’t really benefit you, right? One of the best ways to amplify your branding efforts and to generate results worthwhile quicker is to partner with influencers in your industry. One of the main things that make influencer marketing so successful and effective is because of the fact that influencers have a lot of trusts. Trust that brands can only dream of. In fact, 92% of people trust peer recommendations, including people they don’t know (influencers), whereas 42 percent of adults in the U.K distrust brands. The most obvious reason is that people know that brands only have one main mission: to sell more. And therefore, everything the brand do and say will be done to support that goal. But with influencers, they see it as their duty to guide their peers and don’t really have an obvious hidden agenda, and therefore, they come off as authentic and trustworthy. This is why partnering with influencers helps spread your brand’s message, and improve your branding. But when choosing influencers to partner with, you shouldn’t only be looking at their follower count, though, because in theory follower mean nothing. Firstly, you need to make sure that the influencer you partner with has an engaged audience, which also is your target audience, and which actually listens to what the influencer has to say. Most importantly, you want to partner with influencers who resonate with your brand. Because your goal here is to work on your branding, and therefore, you need to partner with an influencer who aligns with your brand’s personality and tone. If you’re a boring conservative brand and partner with an influencer who is young, uses slang, and jargon, the campaign will come off as inauthentic, and it will create a disconnect between you and the influencer. However, if you, on the other hand, partner with an influencer who has the same visual theme as you, uses the same voice, and has a similar personality, the influencer will help make people more aware of your branding, and thus increase your brand-awareness, as well as achieve other marketing results. What will happen is that the campaign will come off as authentic and trustworthy. Identifying influencers is hard, though. In fact, 75% of marketers consider finding the right influencers the most challenging aspect of this outreach strategy. There are so many things you have to consider for a successful influencer campaign, where an engaged audience and the influencer’s personality are just two of them. To identify influencers, and filter them based on an array of different criteria, you can use our influence directory Veloce Network, where you can either filter and search for influencers based on your own criteria, or, have us go out and look for influencers that will be good fits to your brand, and ultimately drive best results with your social media branding strategy. This is why you want to have a consistent username across all of your social media platforms. This allows people to quickly find your profile and keep your brand consistent no matter where people are searching for them. I’ve already spoken about the importance of having a consistent profile picture (which should be your logo), but there are more parts of your social media bio. Many times, your social media profile is the first interaction people will have with your brand on social media. This is why it should greatly emphasize your brand’s personality, thus making it an important part of your branding strategy. Your most powerful tool here is your bio. Your bio is a short description of your business, and since it many people’s first interaction, you want your brand’s personality to shine through. Make your branding clear, and don’t only use this space to tell people who you are, but also what personality you have. 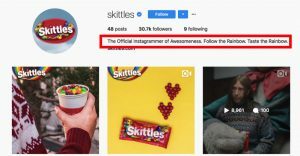 Skittles have taken advantage of their Instagram bio to show people their brand’s personality. Because all of their posts follow the same brand personality, which prevents inauthenticity and disconnect. An important reason for why you want to develop a social media branding strategy is to make your audience remember you. But another important reason, and probably the most important reason is that it will make your target audience resonate better with you, and thus make them more loyal to your brand. But in order to get your audience engaged, you need to actually engage with your audience. Obviously, you cannot build a relationship with someone if you don’t interact with them, right? Don’t be the person that logs in to social media, shares a post and then log out. Social media is an interactive tool that allows you to get in direct contact with your audience, so use it! Having a brand voice and brand tone that resonates with your audience won’t really matter if you’re not engaging with them. When you build relationships, you increase people’s trust in you. 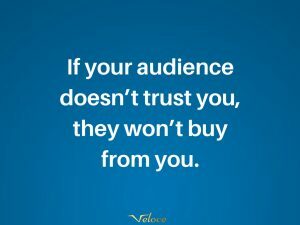 And as a brand, when you get more trust by your audience, people are more likely to buy from you. This is why it is important that you take every opportunity you can to improve your relationships with your audience. If someone comments on your post – respond! If someone writes to you, then answer. Moreover, you cannot always expect your audience to take the first step. You also want to do everything you can to encourage your audience to interact with you, for example by asking questions. User-generated content is tremendously effective in marketing. But that user-generated content is effective for marketing purposes is not all. In fact, using UGC content in your social media strategy means that you include content that has been produced by your audience, being a way for you to thank them. The UGC you share from your audience, therefore, contributes to strengthening your brand’s identity, as well as shrinking the gap between your brand and audience. Implementing UGC helps humanize your brand and make it more authentic since you’re not just showing professionally-created content, but content that shows how real people put your products to test. Branding is an important of a successful marketing strategy, yet unfortunately, few brands put too much thought into it, making it a part of the marketing strategy that they neglect. And when the social marketing strategy isn’t complete, it will be hard to reach the best results possible. Just like all marketing efforts, you need to constantly optimize and improve your social media branding strategy to make sure you’re aligned with it and that it is doing what you hope it would. By developing your branding strategy, you make it easier for people to remember you. And when you are in that position, you’ll have greater brand-awareness and stronger customer relationships. Without a branding strategy, your social media marketing isn’t complete. NextHow to Choose a Proper Web Design and SEO Service Provider?